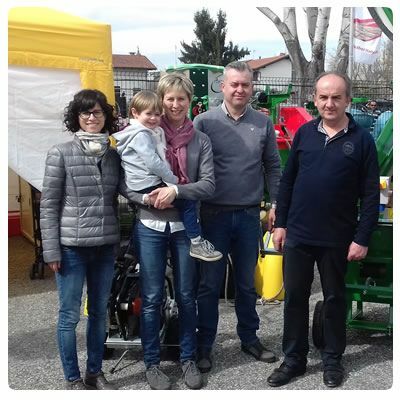 Sunday, March 19th ended the 36th “Meccanizzazione Agricola” fair in Savigliano (Cuneo). Also in this edition, our company, Thor - Ricca Snc, has exhibited its products and its novelties for 2017. Two important awards were awarded on Thursday, March 16th, during the opening ceremony of the show. 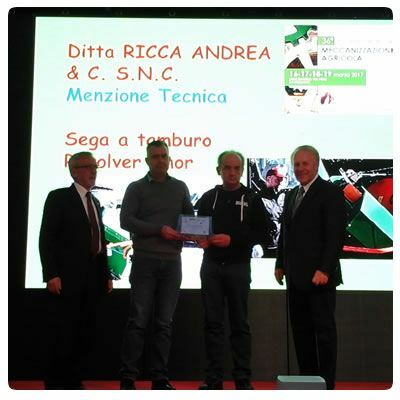 We achieve the Menzione Tecnica (technique mention) for new stationary drum saw machine, Revolver model (more information and technical details will be published soon on our website). But first of all we proudly received an important award in memory of our founding owner Mr. Andrea Ricca: Entrepreneur of the Year 2016. 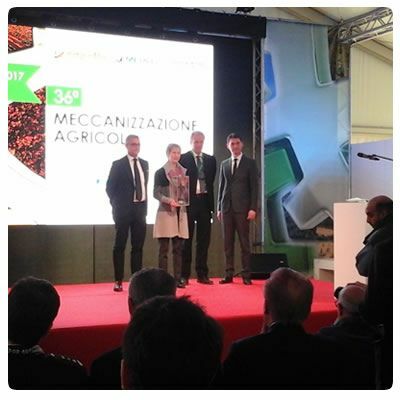 The award was established by Arproma (Association of agricultural machinery manufacturers and auditors), Confartigianato, Savigliano exhibitions body and Enama (National Institution of Agricultural Mechanization) to enhance and broadcast the best entrepreneurial and managerial experiences of the agricultural engineering sector for the development of agriculture, environment and quality of life. The prize was awarded to Mr. Andrea Ricca "for having always paid great attention to the company and its products, ensuring a continuous technological evolution, but always taking into account the safety aspects for operators, investing considerable resources in order to offer the best with positive effects on quality of life of all operators. Moreover, special attention has also been dedicated to the environment and energy efficiency through sustainable management of natural resources. All this has made an essential contribution to the development of agriculture in Italy and abroad, with wide international awards. 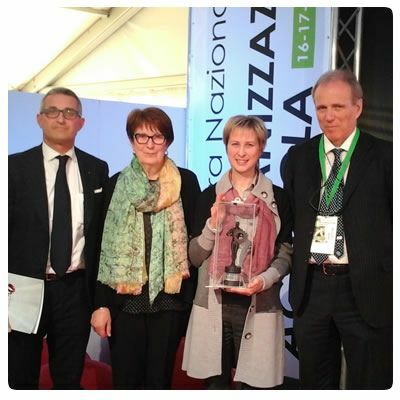 The award was conferred to the daughter of Mr. Ricca Andrea, Ms. Roberta Ricca by Luca Crosetto, Arproma president and vice president of “Confartigianato Imprese Cuneo”.